(*) All chips are soldered (the system would accept 640 Kb on motherboard). (**) Riser card had been replaced (newer one is dated 12/86). 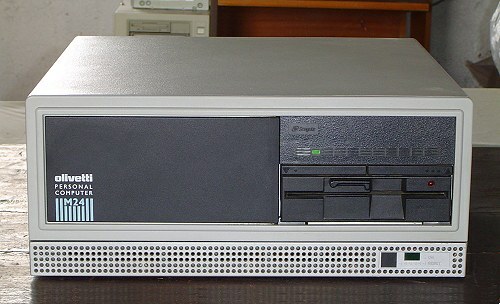 Most likely this system originally had a 2 x 16-bit + 1 x 8-bit ISA riser card (like this other machine). (***) Connects motherboard to riser ("bus") card. Can be replaced w. EGC adapter. Video connector also supplies DC Power to monitor.